Since Snapchat launched the Stories format in 2013, WhatsApp, Facebook and Instagram have all gone on to adopt the concept. These short, vertical visuals, which last for up to 24 hours, have become a hit with platform users, who are able to share their daily experiences and talk to friends in a mobile-specific, direct way. Publishers such as BBC News, NBC, CNN, The New York Times, The Guardian, and Financial Times have jumped on this trend and are already well-invested in the concept. Because not only do Stories help news organisations build a more personal connection with their audiences, a new report from IMNA states that the format could represent a ‘journalism shift’, with a new type of storytelling that highlights personalities, amplifies unheard voices, builds suspense and makes user-generated content more accessible to publishers. 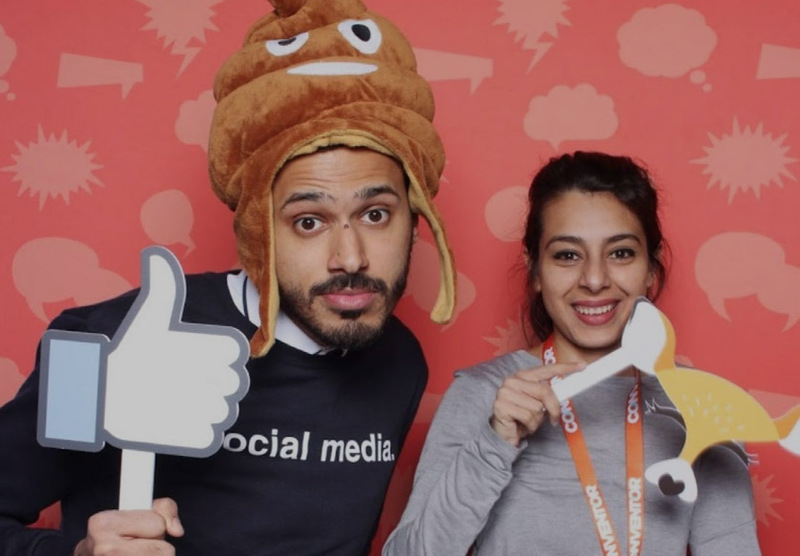 "Media companies that ignore the rise of this trend and continue obsessing over news feeds and timeline views may be left behind,” write Yusuf and Sumaiya Omar, authors of the report and co-founders of Hashtag Our Stories. As Stories allow users to enhance their videos and images with drawings, gifs, text, stickers, filters, emojis, and icons, even the least tech-savvy journalists can get really creative, whether it is a 10 second Snapchat video or an hour-long IGTV feature. So, if we will really see the death of the newsfeed in the near future, how can your news organisation make the most of Stories, a format that is evolving all the time? And which platform(s) should you choose to focus on? 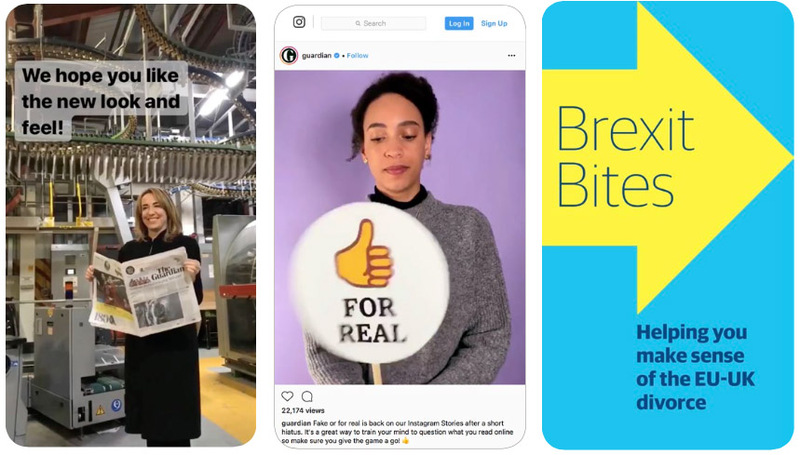 Well, although all require vertical, native and niche content with bags of personality and creative flare, there are a few little differences between Stories on Snapchat, Instagram, WhatsApp, Google AMP and Facebook. "Individual Stories must be created for each platform, although they follow the same principles and are made up of the same basic building blocks,” the authors write. "Social media platforms are constantly evolving and adding new features, and each has its strengths, weaknesses, advantages, and disadvantages." "When it comes to innovating quickly, few platforms can rival Snapchat”, Omar explained, noting that the face filters and mapping technology differentiates it from other players in the social space. Indeed, the Hindustan Times even used Snapchat filters to enable young sexual assault survivors to speak freely on camera without needing to blur their faces, and also began using Snapchat as a content management system in its newsroom – making the most of its cloud-based video storage, communication and crowdsourcing capabilities. "While most Stories formats are cloud-based, the Snapchat 'Memories' cloud is by far the most advanced for searching purposes. "Using image recognition, users can search based on what’s actually happening in the footage. Type 'flame' and you will find every Story with fires from your own Stories and from other public stories." Publishers can also create their own communities, getting exclusive citizen-driven content, like the Hindustan Times did with Campus Calling. "Everybody has access to the same Twitter feeds and viral videos, but Snapchat is a different kind of crowdsourcing in that publishers can create their own stories by building up loyal communities that communicate to you on a regular basis. So far, Snapchat is the only platform that shows a clear Stories revenue stream through either commissioning shows from other producers or slotting adverts between their content. Instagram has more than a billion active users, with a global platform outreaching the geographical likes of Snapchat. This, the report explains, means that it ’shows huge potential for enabling hard-to-reach and marginalised communities to curate content into meaningful journalism’ – meaning more voices will be heard. 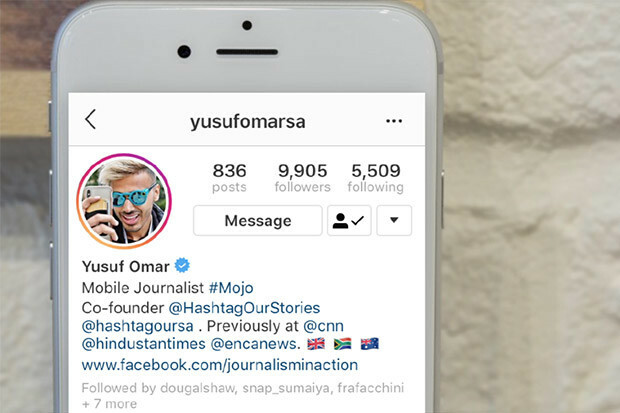 Instagram is also proving to be an effective way to migrate audiences to websites and elsewhere online, because links can be attached to Stories (for verified accounts or those with over 10,000 followers). "In our experience, click-through and referral traffic has been really good. The platform is also very interactive in the way that publishers can ask questions and receive answers from audiences, while all Stories can be given a location, meaning that the story will still appear in location Stories to increase reach. The vertical video app, IGTV, plans to pay creators for longform video, but Instagram has not yet provided publishers with any revenue opportunities from the Stories format. "Facebook is expanding the capabilities of the Stories format by rolling out audio-only uploads in India and experimenting with using the space to enable 360 video viewing in other markets,” the report explained. “We can expect many of the current types of Facebook posts to be integrated into Stories, as their role in this space further takes hold." Audiences can cross-post Stories from Instagram posts into Facebook, but the uptake of Stories on Facebook has been slow. However, Facebook Pages can also now host Stories on Facebook, which could bring exciting times for content creators. "At a time when the News Feed is prioritising friends and family more and more, with just 4 per cent of it being news, Stories could be a great way to get around the algorithms, bringing your news brand to top of mind (and screen) for audiences." This Stories platform is on the web, sitting on top of Google searches. It is a good alternative to social networks, where ever-changing algorithms can bite publishers hard. "This is an exciting new way of considering mobile-first strategies. For now, most publishers have only used these for super response and fast stories around a singular topic, as opposed to their entire website." "With almost half a billion status updates everyday, WhatsApp’s version of Stories, called Status, really is the dark horse of this format,” the authors said. "This is largely because WhatsApp already had a huge, loyal user base, not because its Stories format is particularly innovative. It’s not." Only your WhatsApp contacts can see your Stories, as opposed to anyone who searches, like in Snapchat or Instagram, and the posts are encrypted. “There is no clear pathway for publishers here just yet. The APIs are largely closed, but it’s an exciting space to watch as they are opening up to businesses." You can read the full report for a fee here, with more details about why Stories is new media's next social opportunity, along with examples of video formats that other publishers are experimenting with. Looking for better ways to engage Generation Z? Come along to newsrewired where we will look at designing mobile-first, shareable story formats for swipe-savvy 13-24 year olds.